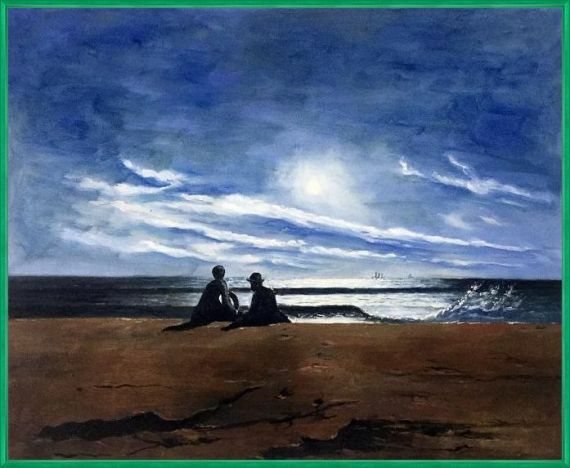 In 1874, Winslow Homer created his "Moonlight" painting. 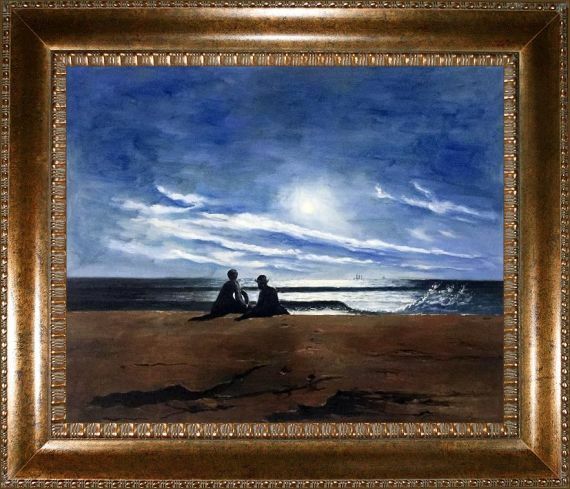 Like his many other landscape paintings, this one demonstrates an incredible mastery of light along with the artist's fascination with marine subjects. 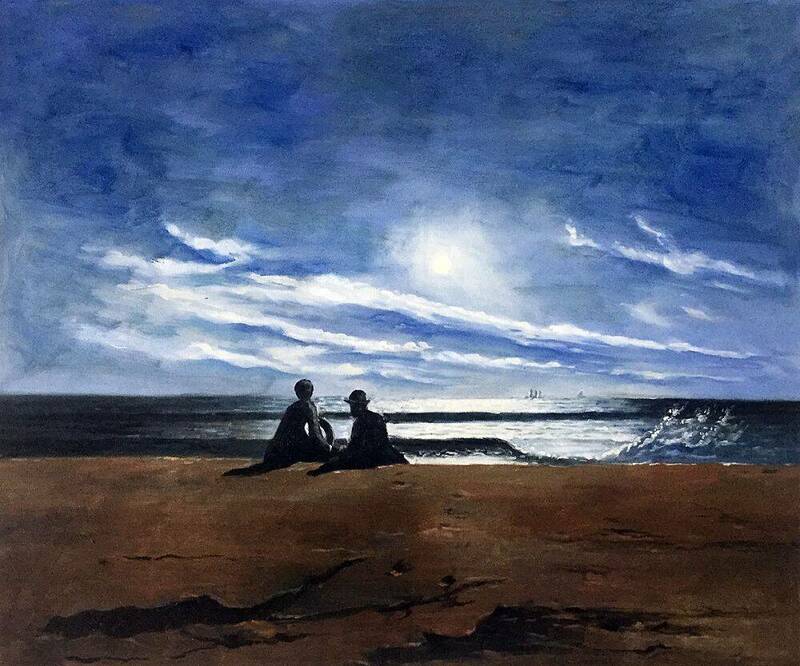 This largely self-taught American painter often used muted tones, but in "Moonlight," a sharper contrast in color and texture adds a dynamic element to the scene. 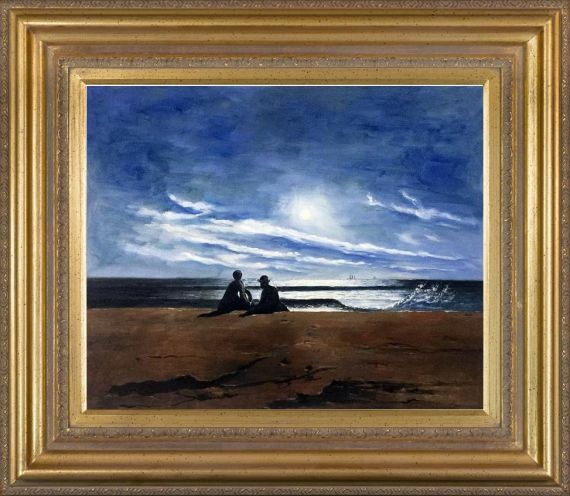 The moonlight appears to absolutely glow off the rippling water, throwing the subjects into silhouette against a stark foreground. 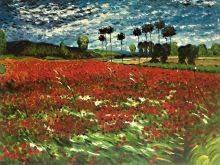 Overall, it's a fascinating yet calming piece of artwork. 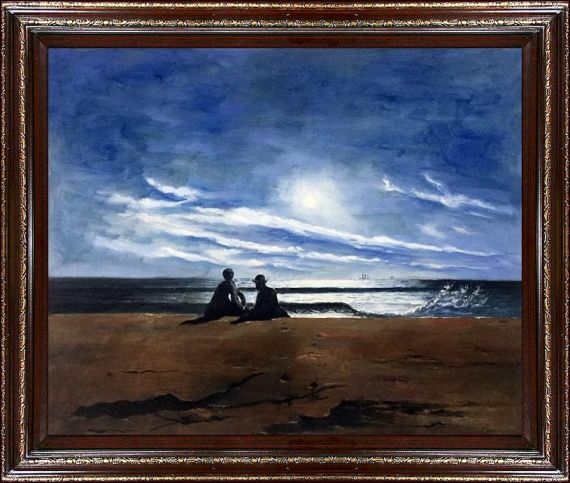 Add a piece by an American master to your home or office by ordering Winslow Homer's "Moonlight" from overstockArt. 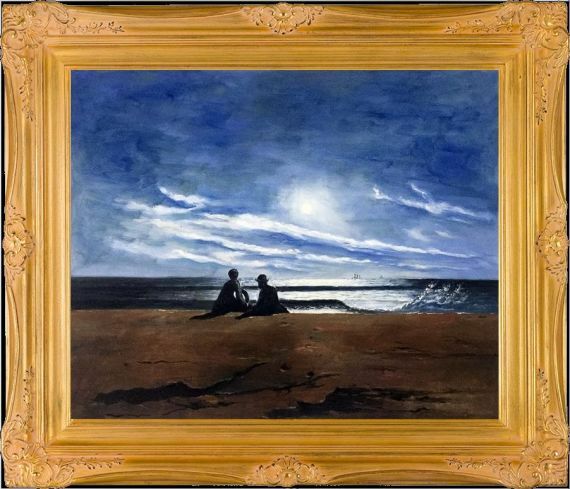 This stunning reproduction captures the artist's vision while remaining at an affordable price point for buyers.